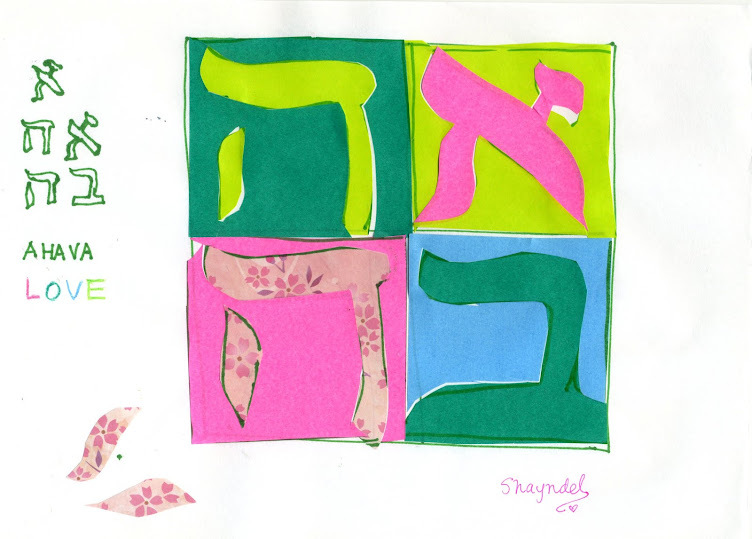 Challah and Cherry Blossoms: Chag Sameach Sukkot! Happy Sukkot! I made a succa on the verandah! I do hope... Father in Heaven is smiling! ---a feeling I had after making a succa on our verandah. During this holiday we make a `tent` and spend time in the succa over the 7 days of the holiday, as per Leviticus 23、above scriptures. A succa is booth, or tent, made for this festival of Sukkot. It represents the booths, or tents, that the children of Israel lived in the years in the wilderness. They had no permanent physical homes or shelters, as they were wandering and on their way to the Promised Land of Israel. They were living so closely and dwelling intimately with God in those days, as He guided them through the wilderness. They saw that all their provisions came from Him. When they were hungry, he provided them with manna from heaven and continued to do so in all their days in the wilderness, and when they were thirsty He gave them to drink water from a rock. Of course, He is the Bread from Heaven and He is the Rock!! Today when we make a succa, it is to remember those times in the desert/wilderness and it is also to remember that no matter what we have in the physical realm, it is temporary. Only God is eternal, and our constant Provider. It is also a tent of God`s love, as after the High Holy Days, cleansing, repentance, and forgiveness, we rejoice in His Love, in the intimacy of dwelling with Him under His wings, in His protection, in the Succa!! My daughter came out to see what I was doing, when I called her to see the moon through the tent! I think she was surprised! At dinner I told her about the Feast of Sukkot and what the tents represented, and she understood it in some way. But I think when she came out and saw the moon through the tent, and the intimate dwelling place that it was on the balcony, I do think she had some feeling in her heart of being in the `succa`. I admit, I was late to make my succa. I really hadn`t planned on it, but as the day was getting near to a close, approaching erev Succot (the eve when the holiday begins), I just scurried out to gather some materials to make a succa! Returning to my opening sentence, I think being late was less important than realizing in my heart how much I longed to make a succa and dwell in G-d`s presence beneath it!!! Love and blessings to you in this week of Sukkot! Shout for joy, Fair Zion! For lo, I come; and I will dwell in your midst---declares the LORD. The moon through the tent, and reading Psalms in the Moonlight! while the moon lasts, generations on end. The first meal in the succa--Red Bean Buns ! (somehow I had the inspiration to make them this holiday, red beans in rice are celebratory in Japan, so I felt that celebrating Succot in Japan went with red bean bread, in Japanese called `an-pan). Blessed are you, Lord, our God, sovereign of the universe, Who has sanctified us with His commandments and commanded us to dwell in the sukkah (Amen). Making a lulav and etrog using a Kabosu and some 100 yen shop leaves and grasses!! Other posts on Succot to follow! And the Word became flesh and tabernacled among us. Thank you for your kind words, and for coming to visit, especially in time for the Succa! I am glad you enjoyed it and learned a little about it. Blessings ! I lived many years in a succa, in my heart. I actually lived in an apartment. That time fed my soul. That`s a nice word, Sandi, I agree, dwelling in the succa really feeds our soul! Thank you for visiting! Blessings and shalom! 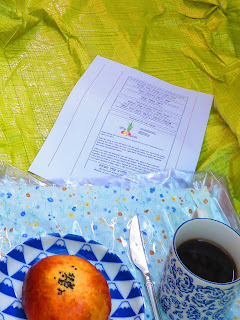 I built our sukka the Sunday after Yom Kippur and we had such a lovely dinner in it on Erev Sukkot! We could see the moon and that night we slept in our sukka! I spent a lot of time in it and was sad to take it down. Blessings! Sounds great! I know what you mean about it being sad to take it down... Blessings!